As my family and friends can attest, I enjoy chocolate. In fact, it could be said that I am a “snob” when it comes to chocolate. I have long established opinions about the most superb varieties and brands and confidence that I was consuming the finest. That is, until I met Mindo Chocolate Makers. I began my work by learning as much as I could about the product and the brand. 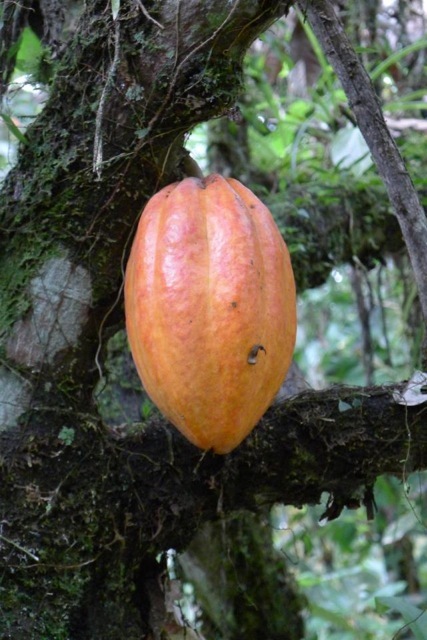 Mindo chocolate makers began when husband and wife Barbara Wilson and Joe Meza, purchased a small retirement property in Equador, Joe’s native country. They created a hostel at the location, and Barbara baked brownies for guests. Not satisfied with the quality of chocolate she was using, she decided to try making her own. She began to learn the process of chocolate making from other makers in Ecuador. Soon, Mindo chocolate was born. I learned about the cacao beans that Mindo uses exclusively for their chocolate, the prized Nacional bean. This ancient cacao bean grows on the hills, in the shade of the rainforest, and has been cultivated by local people for centuries. This bean is in danger of extinction as farmers clear cut the land and replace the old trees with a lower quality, faster growing CCN51 hybrid bean. Small farmers are feeling pressured to transition to the new bean to increase earnings, yet have sentimental attachment to the Nacional trees that have a family heritage that sometimes extends to their grandfathers and great grandfathers. Mindo is working directly with these farmers to educate them about the value of the Nacional bean and to help them connect with artisan chocolate makers willing to pay a premium for their beans. My next task was to review the competition and market. I quickly found that bean-to-bar chocolate in the U.S. is a niche market with a very devoted following. Although there are some mainstream companies producing single-origin chocolate, the bean-to-bar market segment is a unique space occupied by small, creative businesses, each with its own story, process and brand. Surprisingly, I found that none of the brands with which Mindo competes had Fair Trade certification, yet all dealt directly with the farmer at the source of origin. I discovered that Fair Trade certification was not an option for most of these small chocolate makers, as it was cost-prohibitive (for both the farmer and at the chocolate maker) and had the potential to limit their access to their cacao farms of choice. Most of these artisans pay above the Fair Trade price for the cacao they purchase, and have adopted the term “Direct Trade” to identify their relationship with the farmers. I then turned my attention back to the origins of Mindo’s product for design inspiration. Mindo is named for the town in Ecuador where it is produced. 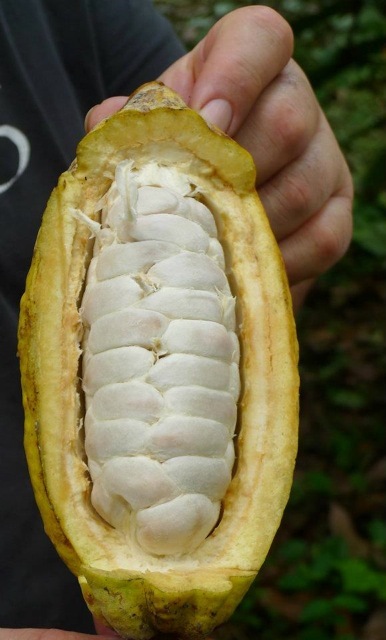 This made it necessary to explore the culture and history of cacao in Ecuador and South America. It is believed that cacao originated in South America and the cultural history of the region verifies cacao use by ancient occupants of the continent. Mayans used cacao in religious ceremonies, while the Aztecs, the first real chocolate lovers, used cacao for currency and trade. Images of cacao appear in hieroglyphics from both cultures. With such a history of cacao in the region, it seems natural that the Mindo brand would somehow reflect this cultural depth. I created a study of colors and patterns influenced by ancient textiles and artifacts of the region. This semester in MCAD’s Sustainable Design Online program I am continuing my work with Mindo, working on sustainable packaging solutions while taking Packaging Sustainability. During the class, I am identifying materials and exploring structural designs for the chocolate bars packaging that will further distinguish and define the brand. I will revisit and refine the identity work from last semester’s internship. My goal is a professional, ready-for-retail brand identity that clearly communicates the companies values, character and mission. Working with Mindo has been an exciting and illuminating experience. It was an excellent opportunity to observe sustainable principals in action outside the classroom. One of the most enjoyable parts of the internship was sampling chocolate — Mindo’s and the competitions’. My chocolate palate has been forever changed, with my introduction to the exquisite texture, taste and feel of fine artisan chocolate. I no longer refer to myself as a “chocolate snob.” I now consider myself a chocolate connoisseur. 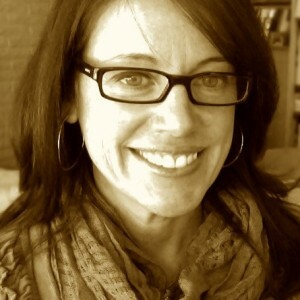 Sarah Jane Maki has been a graphic designer for over 20 years and is the creative director and owner of a design firm that specializes in strategic design thinking, creating innovative, and humanity- and planet-friendly solutions for companies large and small. She believes wholeheartedly that designers are key to the development of products and systems that will not only alleviate the current pressure on the environment, but move us toward a sustainable future for all species and the planet. Sarah served as president of Southeast Michigan Sustainable Business Forum in 2013 and is a card-carrying member of the Detroit AIGA. She graduated with a Post-Baccalaureate in Sustainable Design from MCAD in 2012. Sarah is based in Michigan.